At Holly Hill, assessment is part of our daily planning and teaching process. We are constantly looking for gaps in children's learning, assessing where children haven't understood an objective so that we can intervene and assessing where children have grasped an objective and need a further challenge. We use year group statements taken from the National Curriculum to set the age related expectation for Reading, Writing and Maths and we use these every day to inform our teaching. 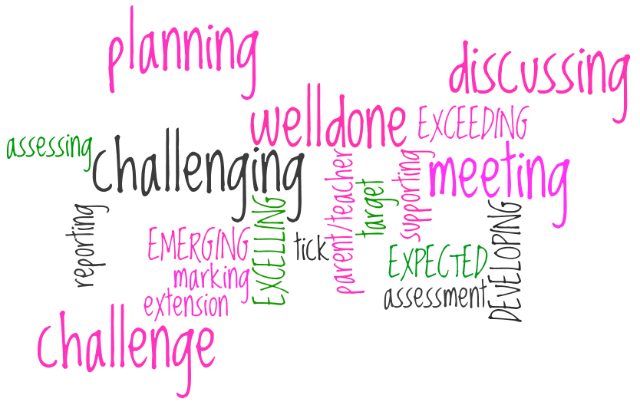 Every half term we make sure that our assessments are up to date and we send out a progress report to parents. This makes sure that you know which areas of the curriculum your child is secure in and which areas are now a target for the next half term. Termly, we make a judgement about each child based on how many of the age related statements they have embedded. This informs us whether a child is 'Below the age related expectation', 'Working towards the age related expectation', 'Working at the age related expectation' or 'Exceeding the age related expectation' for that point of the year. This will be reported to parents termly. Below you will find the statements for each year group so that you are aware of the age related expectations for your child in Reading, Writing and Maths.